Lift up the screw cover from the lower left corner of the display bezel. Remove the screw located under the cover. Do the same with the lower right corner of the bezel. Insert your fingers under the display bezel somewhere in the middle. 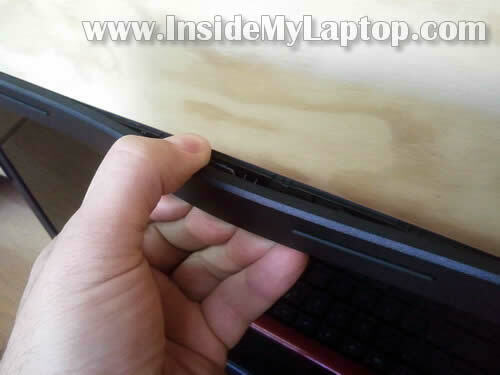 Carefully separate the bezel from the display cover by wiggling the bezel. When the upper side of the bezel separated from the display cover, move to the lower part. Remove two screws (top left and right) securing the LCD assembly to the display cover. Loosen (do not remove completely) four screws on the bottom of the screen. 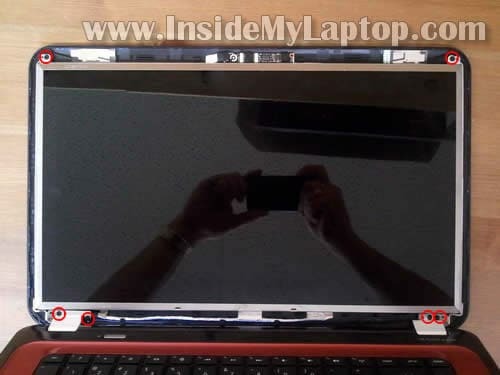 Carefully separate the LCD from the display cover and place it on the keyboard. Remove clear sticky tape securing the video cable connection. Remove and replace the screen with a new one. HP Pavilion g6 laptop has LED-backlit LCD screen installed. 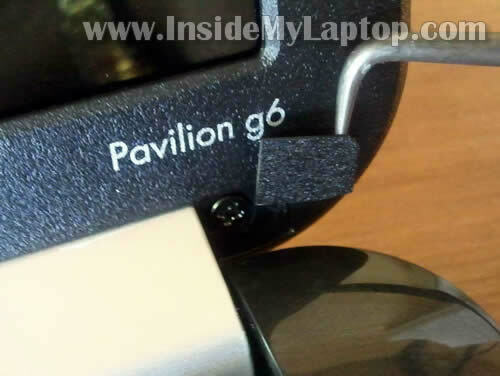 If you are looking for the laptop base disassembly, please check out my previous HP Pavilion g6 base disassembly guide. Thanks for the guide dude, ordered a new screen from my broken G6 so I’ll be trying your method out. You are welcome. I hope the screen replacement works well. I don’t sell any parts. I’m just providing disassembly instructions. You’ll have to find a new replacement screen yourself. As I mentioned in my post, you should be able a new replacement LCD screen in eBay. I linked to the list of screens at the end of the guide. I followed all of your instructions very easily. I ordered a new screen from amazon using the numbers off the back of the old one. I installed it today and the computer boots up perfectly, but the screen is black and there is only the faintest image of what is supposed to be on the screen. It almost like the back light is not working. I have adjusted the screen brightness to no avail….any suggestions? The HP Pavilion g6 of my girlfriend has a bug. A real bug. Yes really! Today she noticed a small dot (about 0.5mm size) wandering under the glass of the screen. she pressed gently on it and now the tiny bug is dead. Dead in the middle of the screen under the glass. No way to get rid of it. Is there a way to disassemble the glass of the screen to clean it? 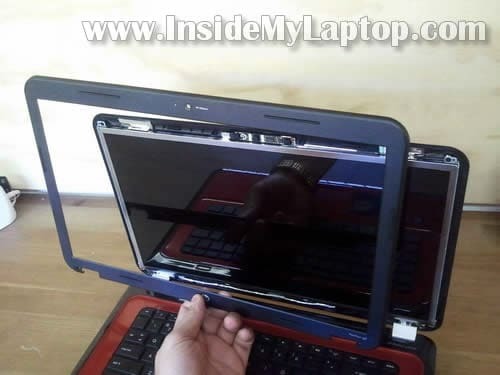 Is there a way to take the whole laptop cover off? I am talking about with the Zollverein connecters in between the red and the laptop screen it’s self. If so can you tell me the steps? 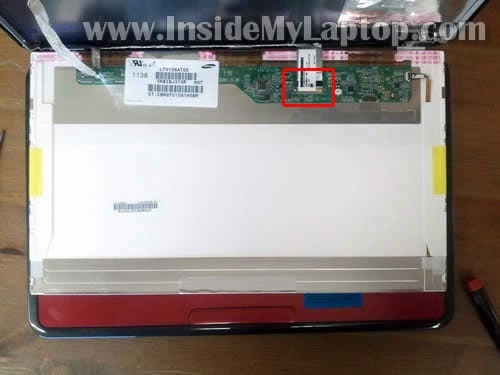 Here’s the top cover removal guide for HP Pavilion g6 laptop. Sorry maybe I misinterpreted the way I wrote my question. I need a guide to remove the laptop lid which is the cover and as well as the.silver hindges because I am going to paint them. Sorry if my question was not specific enough but your removal guide of taking apart the palm rest worked perfect for Me! Thanks but please.help me out with the lid cover and hinges.please. 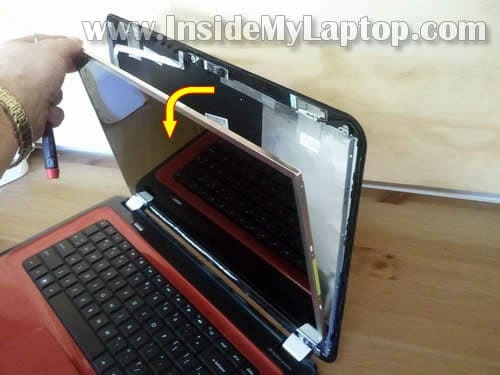 What i am really most concerned about is the laptop display lid. Is It possible to take it off from following the screen replacement steps? 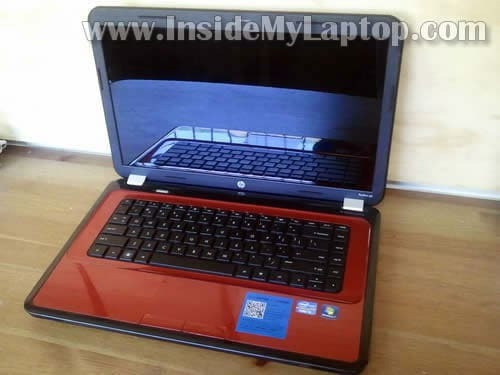 Check out this service manual for HP Pavilion g6 notebook. The display panel disassembly instructions shown on the page 66. I hope it helps. I have a hp g6 and the screen is black when booted up. Sometimes the on off button doesn’t work, sometimes the screen is jet black and sometimes just very dim. I suspect it is something to do with the screen position sensor. Is this likely? 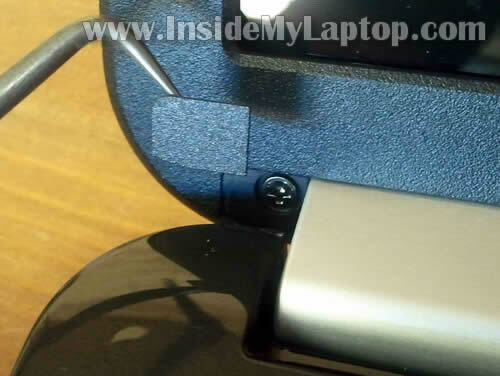 hello i am trying to get my bezel off my HP Pavilion G6-2235us 15.6″ and i have almost got it compleatly off but can seem to get the bezel loose from the area around the hinges. Clear and simple instructions on how to remove the display. Thanks for sharing. Also, I was more than happy to make a PayPal donation for your efforts. Great step-by step guide! 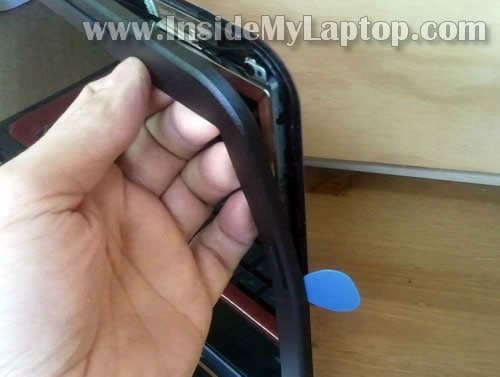 I was having issues with my HP Pavilion g6 screen and someone suggested that I replace it. It was flickering in and out so I ordered a replacement and did just that. The new screen would “flicker” a lot. I called the company and they provided return/exchange procedures. I re-installed the original screen and it works just fine. The only issue I have now is it’s very dark, even on the highest setting. I’ve been told to replace the back light or the inverter but don’t want to just start throwing parts at it. Any suggestions? Is it possible I set-up some sort of “energy saving” display? 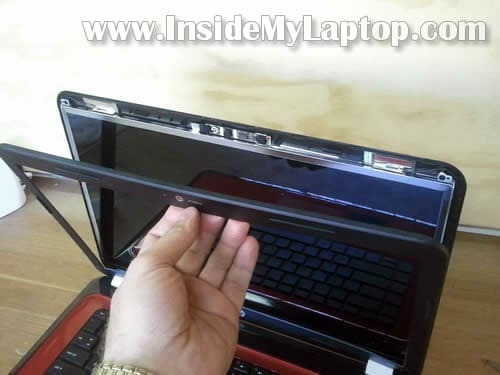 well i recently replaced the screen which is working fine but over a year a go the hinges broke on my laptop and i never replaced them so the wire has been wearing down and now the screen goes white until i adjust it to the right position. can you tell me how to replace the wire. 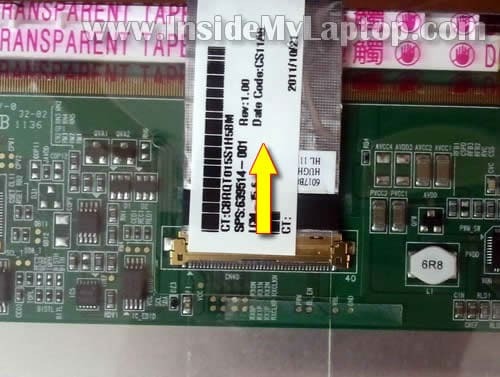 In order to replace the display cable you’ll have to disassemble the display as it shown on this page. 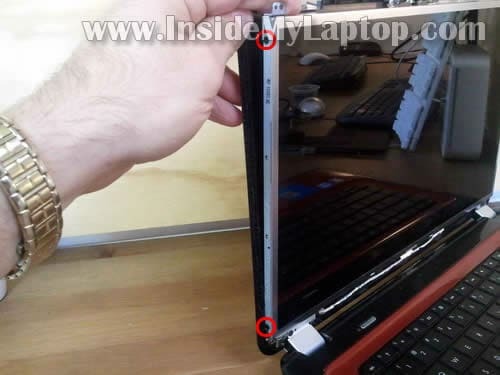 Also, you’ll have to remove the laptop top cover as explained here. Thanks for this! Saved me $80 for a professional replacement. Works like a charm again. 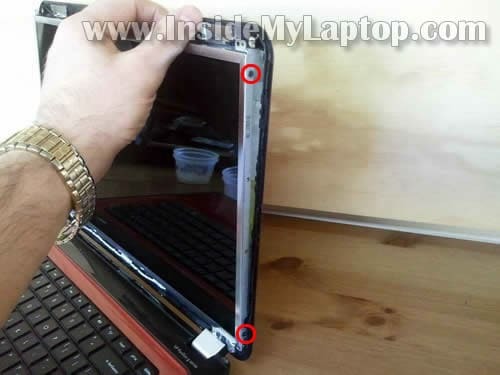 are their other screens that are compatable for the hp g6 series laptops? Some vertical lines with red tint appears suddenly on screen! I hope it occurs due to Overheating!! Is there any Chance to replace the screen with the one with higher resolution? Hi, this was so helpful but now the hinge is broken. Is there a way of fixing that?